New research in mice and humans suggests that an enzyme called SNRK suppresses inflammation in obesity-related “white fat” while increasing metabolism in heat-producing “brown fat,” making SNRK an intriguing target in the battle against obesity. PROVIDENCE, R.I. [Brown University]—The human body has two primary kinds of fat—white fat, which stores excess calories and is associated with obesity, and brown fat, which burns calories in order to produce heat and has garnered interest as a potential means of combating obesity. Now, a study led by Brown University researchers has identified an enzyme that appears the regulate the physiology of both fat types in mice—decreasing inflammation in white fat tissue, while promoting the ability of brown fat to burn calories. Preliminary genetic evidence included in the study suggests that the enzyme, called SNRK, performs similar functions in humans, making it an intriguing new drug target in the battle against obesity and its complications. The research, published in the journal Diabetes, was led by Jie Li, a research associate in epidemiology at Brown, and Bin Feng, a research associate at the Warren Alpert Medical School of Brown University and Rhode Island Hospital’s Hallett Center for Diabetes and Endocrinology. The presence of SNRK in fat tissue was first discovered by co-corresponding author Haiyan Xu while she was a researcher in the Molecular Epidemiology and Nutrition Lab of Brown’s Center for Global Cardiometabolic Health. Her initial research suggested that the enzyme played a role in regulating inflammation, but this latest study was designed to get a more complete picture of its function in fat tissue. For this new study, the researchers bred mice that lack the gene for producing SNRK in fat cells. They could then compare fat tissue from those mice with tissue from normal mice. The study showed that mice lacking the SNRK gene had a significantly higher concentration of macrophages in white fat tissue compared with normal mice. Macrophages are immune cells commonly used as markers for inflammation, and their increased presence helps confirm that SNRK plays a role in regulating inflammation in white fat tissue. It’s an intriguing finding, Xu says, because her previous research has shown that inflammation in white fat is associated with insulin resistance, a risk factor for the development of diabetes. 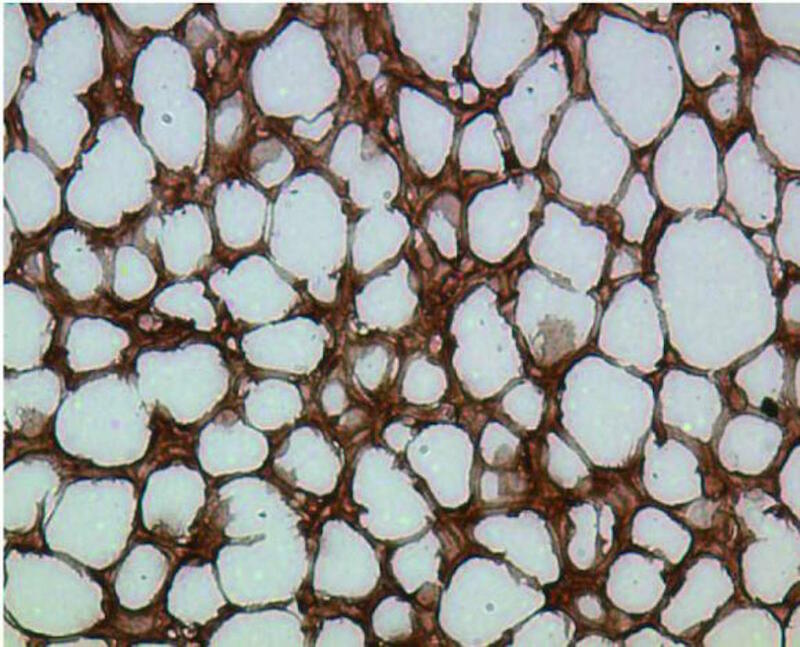 In addition to its effects on white fat, the researchers showed that SNRK influences the physiology of brown fat tissue. Mice lacking the SNRK gene tended to be heavier than normal mice, and were shown to have lower overall metabolic rates. The SNRK-lacking mice maintained their extra weight even when treated with a drug known to induce weight loss in rodents by activating brown fat. That suggests that the lower metabolic rate and extra weight carried by the mice lacking the SNRK gene was due in part to reduced brown fat metabolism. “What that tells us is that boosting SNRK production might have the effect of boosting overall metabolism, which might aid in weight loss,” Xu said. Having established that SNRK appears to regulate fat tissue inflammation and metabolism in mice, the researchers took a step further investigating whether SNRK may play a similar role in humans. The team identified multiple germline mutations in the human genes responsible for SNRK production that were directly associated with higher body mass index, higher waist circumference and risk of obesity in a cohort of 12,000 women who participated in the Women’s Health Initiative. Taken together, the researchers say, the results suggest that SNRK could be a target for new therapies aimed at curbing obesity and its complications. Additional authors on the study were Yaohui Nie, Ping Jiao, Xiaochen Lin, Mengna Huang, Ran An, Qin He, Huilin Emily Zhou, Arthur Salomon, Kirsten Sigrist and Zhidan Wu. The research was supported by the National Institutes of Health (R01 DK103699, HHSN268201100003, NIGMS 8P30 GM103410), the American Heart Association and the National Science Foundation (1557467 QuBBD).